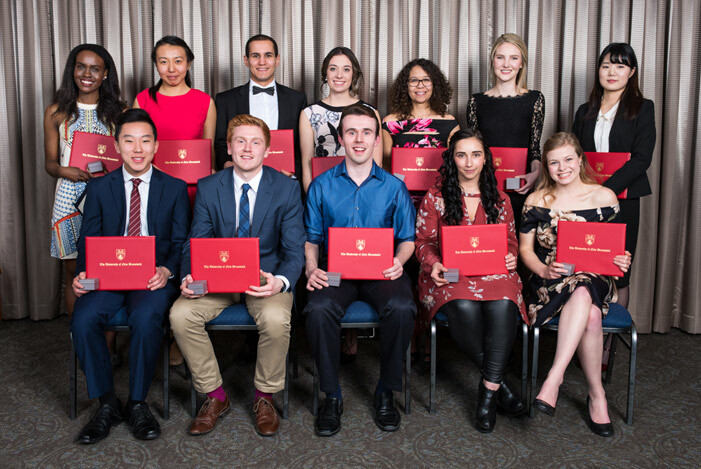 Involvement in their university and community, plus excellent grades, has earned 12 University of New Brunswick students the distinction of being inducted into the Sir Howard Douglas Society. At a dinner in their honour on March 27, 2017, John McLaughlin, UNB president emeritus, addressed the 2017 scholars. Established in 2006, the Sir Howard Douglas Society of Scholars has 216 members, including this year’s inductees.